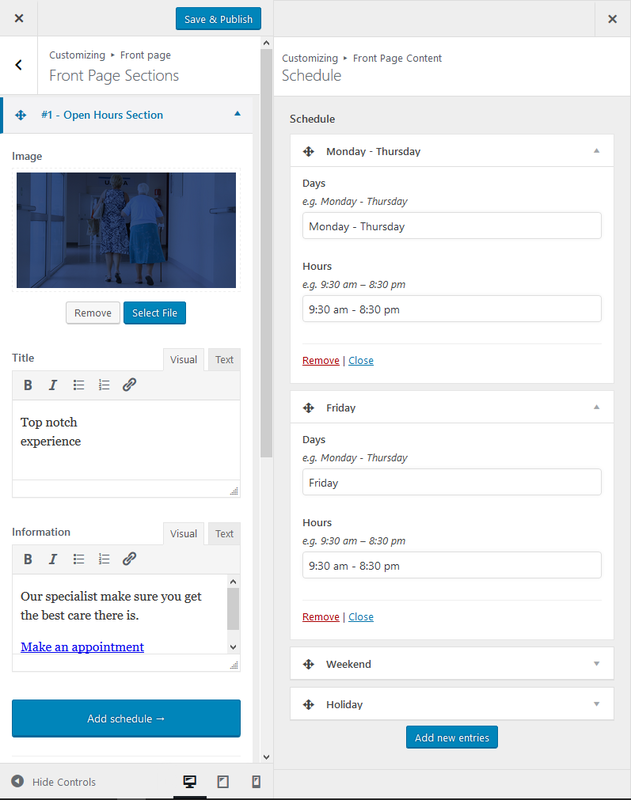 As the name implies, the Open Hours Section can be used to display your working hours. There are only a few configuration options available. Image : set a background image for this section. Title : set the title for this section. Information : add a custom message for this section, you can also use this as a description. Add schedule : you can use this to set the schedule of your practice.